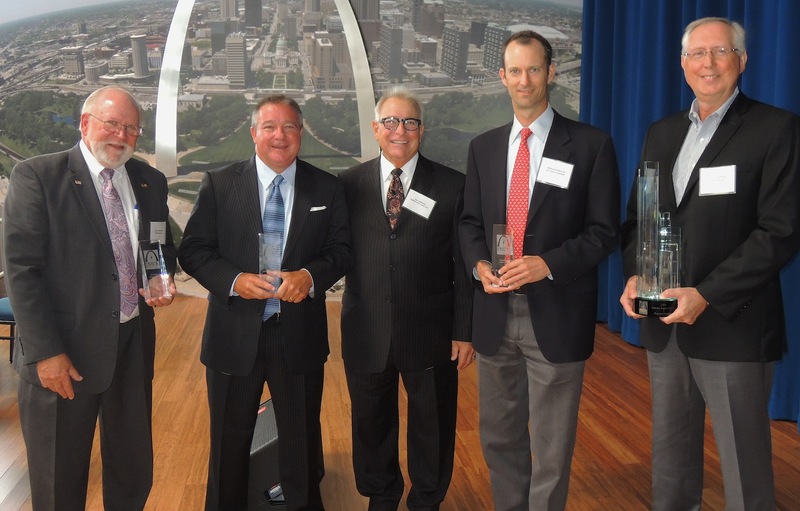 PRIDE Labor-Management honored leadership in the St. Louis construction industry at its seventh annual awards luncheon Aug. 21. For the first time in its more than 40-year history, PRIDE recognized a labor leader with the Al Fleisher Management Award, recognizing St. Louis Building & Construction Trades Council Executive Secretary-Treasurer Jeff Aboussie for his tireless work and steadfast commitment to building consensus among labor, business and political leaders. This fall, the St. Louis Building Trades Council is launching its BUD program – Building Union Diversity, an effort to help minorities, women and disadvantaged groups become trained, skilled union craftsmen through the apprenticeship programs of 10 participating union locals. “This isn’t a ‘make work’ temporary effort to get minorities and women hopping from one job site to another to meet artificial quotas,” Aboussie said. “BUD is a program to give men and women a career in construction that want one, but haven’t had the opportunity before.